Saleem Sinai is born at the stroke of midnight on August 15, 1947, the very moment of India's independence. Greeted by fireworks displays, cheering crowds, and Prime Minister Nehru himself, Saleem grows up to learn the ominous consequences of this coincidence. His every act is mirrored and magnified in events that sway the course of national affairs; his health and well-being are inextricably bound to those of his nation; his life is inseparable, at times indistinguishable, from the history of his country. Perhaps most remarkable are the telepathic powers linking him with India's 1,000 other "midnight's children," all born in that initial hour and endowed with magical gifts. This novel is at once a fascinating family saga and an astonishing evocation of a vast land and its people–a brilliant incarnation of the universal human comedy. 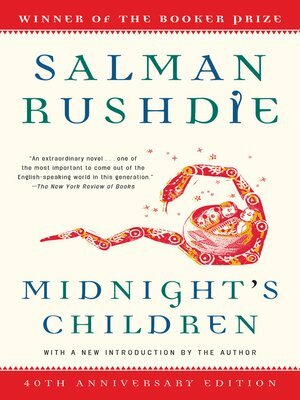 Twenty-five years after its publication, Midnight' s Children stands apart as both an epochal work of fiction and a brilliant performance by one of the great literary voices of our time.